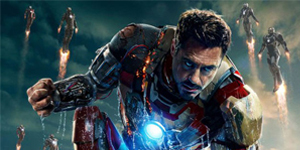 Here is the final trailer for Shane Black’s Iron Man 3. Unlike the previous trailer, this one truly shows the mindset of Tony Stark and the depths of despair he goes through. Marvel’s Kevin Feige recently said that the films in Marvel’s Phase Two–Iron Man 3, Thor: The Dark World, and Captain America: The Winter Soldier–will delve more into the psyche of each character. Based on this trailer, we can see what Feige is talking about.